These are the best cosmetics Fortnite has to offer. Everybody and their mother knows that Fortnite is one of the most popular video games on the face of the earth. It owes much of that success to the ravenous hunger for new character outfits and accessories that players can buy. The market for all Fortnite skins and cosmetics is even taking a sizable chunk of profit from all other console games, with Fortnite raking in $1 billion from in-game purchases. But what are the best Fortnite skins to drop your money on? Fortnite skins rotate out every once in a while. They can also be unlocked as part of each season’s Battle Pass, a set of challenges that help players unlock rewards. Point is, once they’re gone, they don’t often come back, so get cracking. Here’s our list of the best Fortnite skins money can buy. Having an enemy rush at you in a battle royale game is always panic-inducing, but I can’t help but imagine the X-Men’s Colossus barreling down on me when someone wears these skins. It doesn’t help that these metallic murderers have creepy yellow eyes staring back at you either. Wrestling is a beautiful thing. It’s basically the perfect modern art form. Mexican wrestling found out how to make it better by adding awesome-looking masks, and the rest is history. Thus the Dynamo and Masked Fury skins were born. It’s a shame that the only melee attacks are the puny axe. It would be quite rad to see a player perform a Tiger Suplex off of Tilted Towers. Is Xbox Game Pass really worth it? The world of competitive video games was made for dunking, and what better way to do that than to literally dunk on your opponents in this appropriate jersey and shorts Fortnite skin. Epic could really come full circle with an eagle-shaped glider if they ever wanted to. Walking up on a demolished building in Fortnite is kind of like being an actual gumshoe. Who was here? What did they do? Why does it look like there was a small dance party near this pile of bodies? Feel that smoky moonlight haze in these trench coat classics. I’ve got to admit, I like this one so much because he reminds me of a second-rate Dragon Ball Z villain, or maybe a Captain Planet villain. Same thing. If skintight leotards, spiky hair, and spiky spikes are your thing, make sure to point this one out. Sure, Overwatch may have a hamster in a ball, but do they have a fish in a bowl? Leviathan seems like the stuff of nightmares. Ugly, wet nightmares. It’s unclear how the fish operates his suit for maximum killing efficiency, though. Hidden puppet strings? Telekinesis? A $100 water filtering system that you’ll break after a month, mom. Any Viking is a man after my own heart. Give him an axe and he can have mine. Vikings are also the only known historical figures to competently pull off a cape, and this Fortnite skin reaffirms that. He might be called “The Reaper,” but we all know who this walking death machine is. The Devil, the Boogeyman, Baba Yaga, John “With a F****** Pencil” Wick. Wick is one of Fortnite’s more prolific skins, an opportune tie-in to the second film. He’s plenty prolific with Fortnite’s catalog of guns, but just keep an eye out for stationary. You’re not hallucinating. Ragnarok is a pretty clear homage to the God of War himself, Kratos. The ghost of Sparta didn’t have blue hair, but it’s a decent enough likeness, with the bushy beard, the archaic tattoos, and even some tight hand wraps. 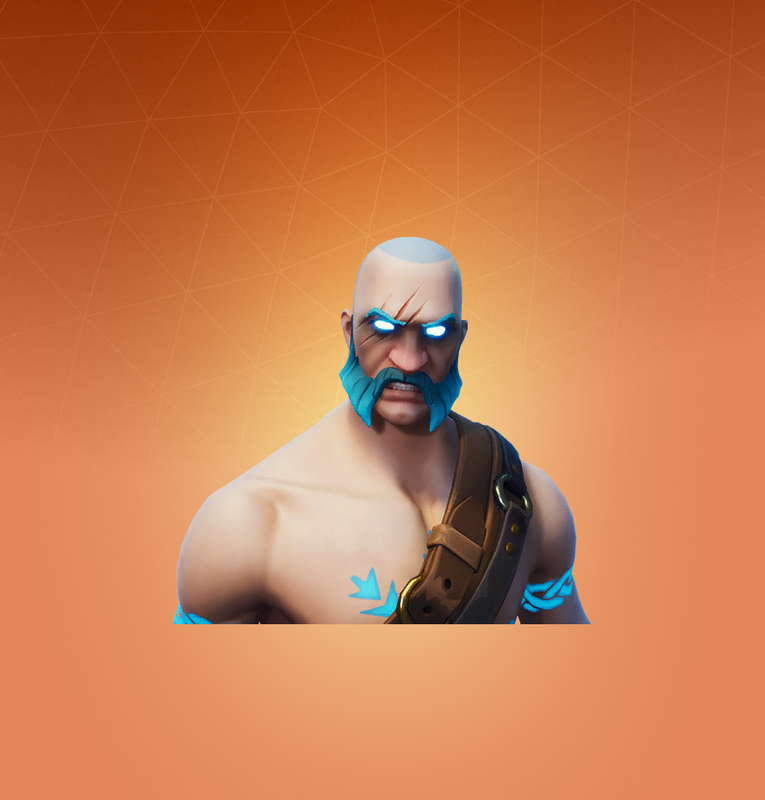 That all goes out the window if you get the fully unlocked version, which sports a nasty-looking skull for a head and four times the facial hair, making it one of the scariest Fortnite skins. Another Nordic look, but somehow even more awesome than Magnus or the lesser Ragnarok. Sporting some solid face paint, and a really unique armor design that meshes leather with a long strip of metal plates, the Huntress looks like she’s not only down to hunt players, but maybe a robot dinosaur or two. Drift is what I imagine a parkour kid vacationing in Tokyo might don, but the unlocked version goes full Naruto with an electrified, gold-trimmed coat and kabuki mask. If you like sprinting with your hands fully extended behind your back, this might be the one for you. I’m a self-admitted cuddle bug, but Cuddle Team Leader might need some new recruits once they get a good look at him. If the blank stare and pink fur don’t get you, the assault rifle might. The Monkey King is always a good choice for special skins. Just ask the Overwatch cast, who donned their own Chinese New Year outfits a year ago. Wukong here has the full deal, with the orb necklace that’s a common trope, the Monkey King’s crown, and the pointy shoes. It’s called “Tricera Ops,” for god’s sake. How can you not love that? Sure, the Rex skin seems to be more popular, even getting its own Funko Pop vinyl figure, but Tricera Ops has all the charm.